Kobe Bryant just can't let go of competition. Three months removed from his final NBA game, wherein he dropped a whopping 60 points at 37 years old, the "Black Mamba" is back on the court...a table tennis court, that is. 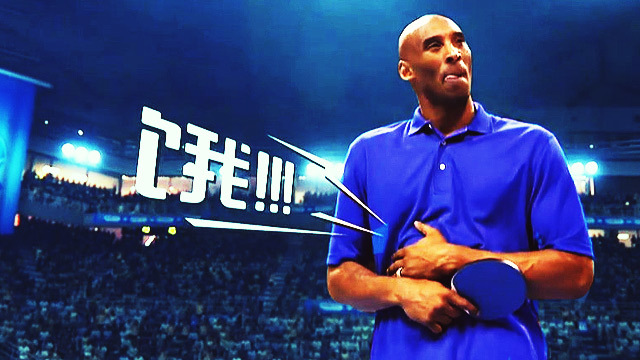 Kobe stars in a commercial for the startup food delivery service Ele.me (Translation: Are you hungry?) as a ping pong player who forgot to grab a bite before a game. Kinda like that popular Snickers TV spot, only a basketball legend better.